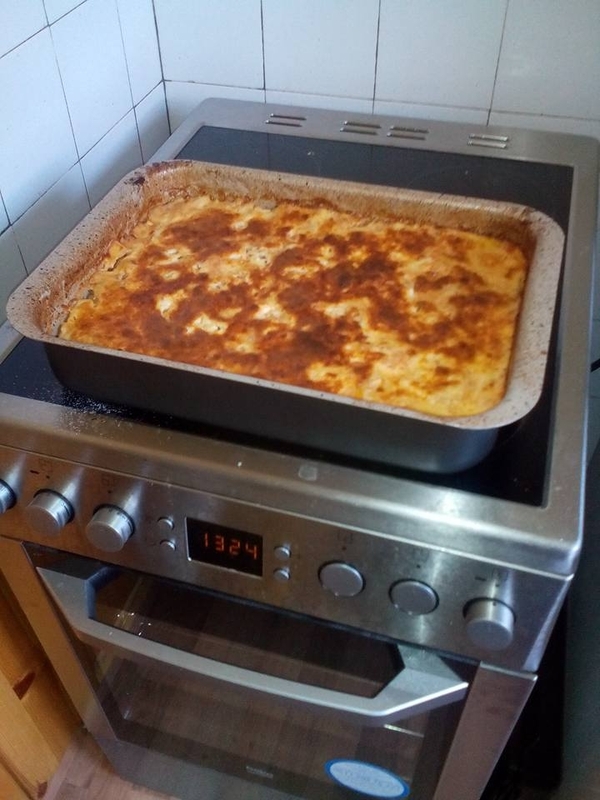 This is a delicious moussaka we made with my boyfriend. It was yummi! The recipe is you cut a kilo of potatoes in very small pieces, you fry 3-4 onions, you put the onions with the potatoes, you put some tomatoes in a can, you fry for a while 500 grams of minced pork meat. Then you mix all that put some water and put in the oven. When it's almost ready you put a can of plain yogurt mixed with 2 eggs and flour as a coverage. Then you bake some more and there you go! Deliciousness! Gonxhe Qerimi I just voted for your picture 10 :) can u help me also ?